It can be hard the choose the right community for you. We believe that South Fayette is a good bet to build in. Here are just a few of the top reasons you should consider this township for your new custom home. The thought of researching and deciding on a home builder has probably kept more than one person from moving ahead on their custom home project. After many decades in the business, we understand. There are lots of builders out there, each of them with a different approach to doing business. When is the Best Time to Build a Custom Home? 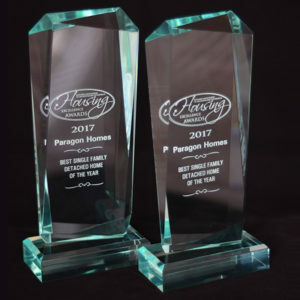 Paragon Homes has earned two 2017 Housing Excellence Awards. It always feels good to be recognized for a job well done. Paragon Homes has earned two 2017 Housing Excellence Awards from the Builder’s Association of Metropolitan Pittsburgh (BAMP) against the largest field of applicants in the history of the awards. View photo gallery. For our clients, the Mowreys, we created a custom floorplan that features a big, open living area with tons of natural light, a custom kitchen and his-and-her private studies, since both spouses work from home. Upstairs, the master bedroom has a spectacular shower, double vanities with a makeup table, and double walk-in closets for lots of storage. Two additional bedrooms have their own walk-in closets, and there is a spare bedroom for guests or crafts. The family requested a second-floor laundry and designed custom storage spaces above the garage and on the lower level. Outside, both homes boast ample space for relaxing and for the kids to play. It’s important to us that our clients not only get a beautiful home, but one that stands the test of time. Some examples of our high-quality construction practices in this home are premium grade lumber and other building materials, upgraded fixtures and hardware, 16-inch stud spacing interior and exterior with 2×6 exterior walls, solid core doors and real wood windows. 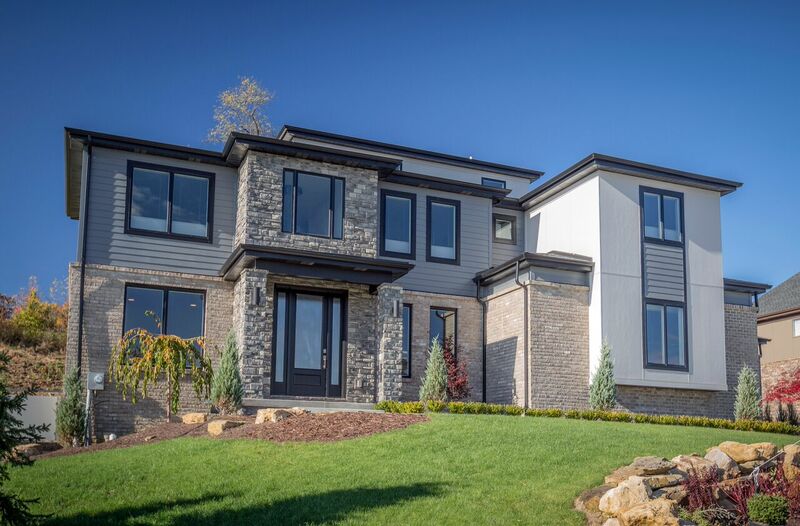 The other winning home was built for the Schmitz family, their award-winning custom dream home is an elegant, modern retreat for the parents that also grows with the family as their needs change. As you enter the home through the 4-car attached garage, you pass through a long hallway of custom-built lockers and drop zones to help keep things organized. The interior then opens into a great room, kitchen, and sunroom area where the family intends to spend most of their time. Elsewhere are the first floor are a formal living room and a large formal dining room for dinners with extended family and friends. The home’s second level has a large laundry room, a spectacular overlook of the foyer, a master suite with dual master closets, and three additional bedrooms, one with a private bath and two that share a Jack & Jill bath. A third-floor loft includes two additional bedrooms, a full bathroom, and a movie room. Thanks so much to BAMP for the honors as well as all our suppliers and craftsmen, and even bigger thanks to the Mowrey and Schmitz families for trusting Paragon Homes to build your perfect custom home! 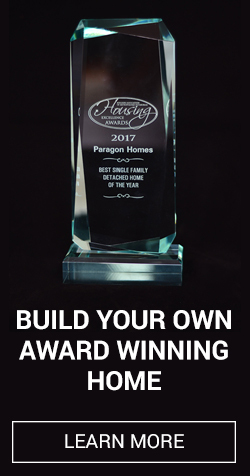 Build your own Award Winning Home with Paragon Homes! Get started today. If you are choosing to build a new house in the Pittsburgh area, you might be considering neighborhoods based on how close they are to your relatives, job or your kids’ school. If you aren’t locked in on a particular area, South Fayette and Collier townships are a good bet to build in, for a number of reasons. Both South Fayette and Collier have realized robust housing growth in recent years, in large part because they have premium land. Half of each township is made up with all the shopping and dining along Washington Pike and the area transitions quickly to suburban and even a rural and woodsy in feel in some places, both communities give homeowners the opportunity to spread out and build on spacious, scenic lots. New home neighborhoods offer a sense of community, but let everyone enjoy some privacy. Younger families continue to be drawn to both of these communities because of the success of South Fayette and Chartiers Valley school districts. Both districts have taken on building projects in recent years to both accommodate the growing number of students and incorporate new technology and innovations for students. The Pittsburgh Business Times ranked South Fayette at the top district in Western Pennsylvania in 2015, bumping Mt. Lebanon School District from the number one slot and both South Fayette and Chartiers Valley scored at the top of the recent PA state Keystone Exams. South Fayette and Collier townships rank on the low end of property taxes, both in the bottom third of millage rates among the more than 100 municipalities in Allegheny County. At the same time, new homes built in these communities hold their value. At Allegheny County’s Western edge, Collier and South Fayette are within 15 miles of downtown Pittsburgh, and close to both Pittsburgh International Airport and work locations in Allegheny, Beaver and especially Southpointe, Washington County. The popularity of South Fayette and Collier have resulted in stable communities that let you live close to or in a natural, park-like environment, with shopping and other businesses just a short drive away. Does it seem like everyone has artisan bread these days? Or artisan something. If you are looking to build your own home, you might find that the term “custom home” has become the artisan bread of the construction world – it is used very broadly and could mean any number of things. 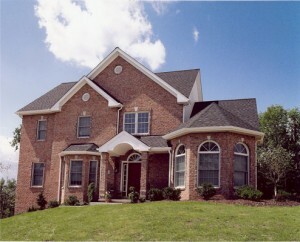 Generally, there are three different types of new home building. Also called tract houses, this type of development offers the least amount of choice for homebuyers. That doesn’t have to be a bad thing if you are easily overwhelmed. These builders may let you make minor changes to a set list of floor plans, but your house will end up looking very similar to others in the neighborhood. These homes also begin with a basic floor plan from the builder, and these builders allow you more flexibility to add a room or change a little bit. Buyers in these neighborhoods often appreciate the added choices they get, but these homes fall short of providing the truly unique neighborhood many buyers are looking for. A true custom home is all about choice, from the ground up. 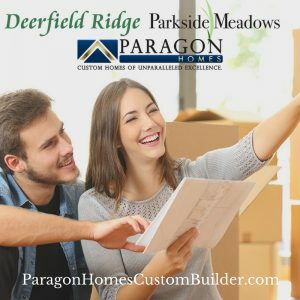 A custom builder may show you some floorplans to get the creative juices flowing, but always lets you make as many changes as you like or start fresh with their architect and a clean sheet of paper. 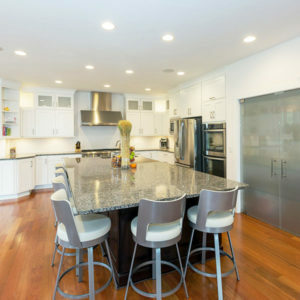 Many buyers choose a popular design and fully customize certain areas of the home but not others. 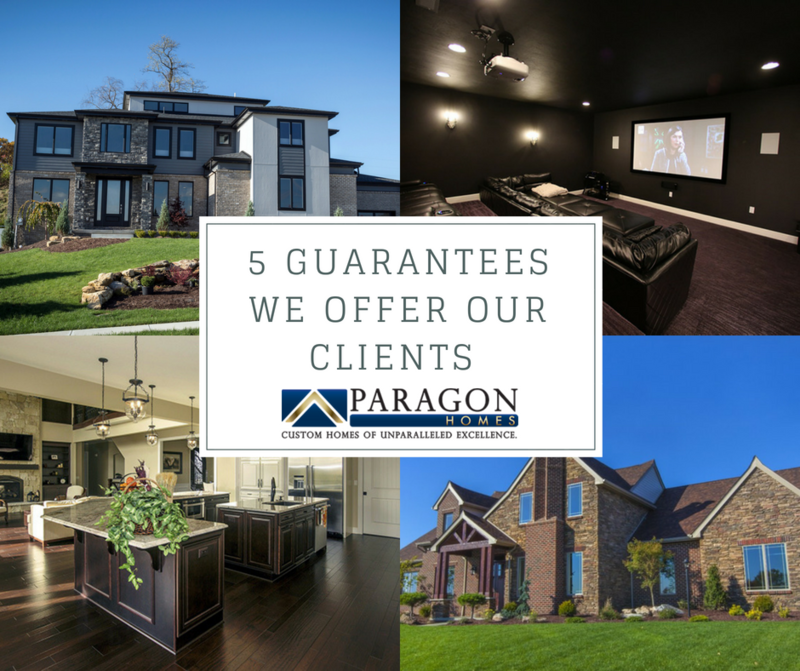 Either way, the Paragon process is designed to make buying a new home as easy and enjoyable as possible so that you can get the new home that has every little feature and detail that you dreamed about. Working with a custom Pittsburgh home builder also gives you the opportunity to incorporate Energy Efficient or Green Building techniques, create accessible design elements or custom spaces to suit your religion, family size or even your favorite hobby, and with a good builder, design all of that in a way that is flexible so you home can adapt to your family’s needs in the future just as it does now. Building a new home can be exciting, exhilarating, overwhelming, and at times, unpredictable. You’ll need vision, focus and planning as well as a hefty dose of fortitude. Thinking about building a house and need some tips to get started? Let’s go over some of the steps to help give you a general understanding of the process. Talk to your builder when it’s time to discuss specific processes for your custom build. Most of these steps can be handled by your builder, allowing you to focus on other aspects of your dream home. Be sure to choose your builder wisely. 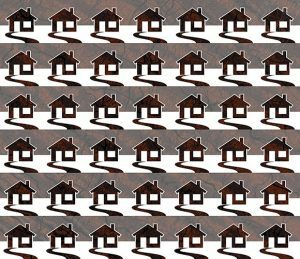 How much house can you afford? Financial and lender websites offer online calculators that do the math around monthly income versus expense and debt. But what is your personal preference? For personal, investment or lifestyle reasons – some opt to live beneath their means instead of within their means. No matter how you work the margins, discuss loan options and qualifying requirements with a custom home builder that will allow you to choose from multiple lenders. Location is so important! Not only does it determine property values, your family will most appreciate a home site that is close to work, favorite amenities, and the most desired school districts. You will also want to investigate zoning issues to uncover any proposed developments or upcoming projects in the area, as well as determine any restrictions you may face during the construction phase. Constructing a home takes a team of professionals. The ‘who’s who’ in home construction will likely include a developer (land), architect (plan), builder (construct), design consultant (stylize), construction manager (project manage), contractor (install), and inspector (approve). Select professionals that understand your goals and have a portfolio of work that complements your own needs and wants. Research custom home builders in your area, there are many that serve as a one point of contact that will help you through the process, often working with a list of architects and other professionals local to your area. Start from scratch and sit down with an architect, purchase a pre-drawn plan from a reputable design firm, or opt for something in between the two and modify an existing plan to better suit your unique and specific needs. Consider your must-haves and don’t wants in advance, and make a list. The more you plan, the smoother the process will be once you break ground. Building a new home is an involved process that can take 6 months to a year – sometimes longer, depending on the home size, design complexity, and even weather conditions. Having choices leads to the custom home that you love, but sometimes the decisions can feel overwhelming. 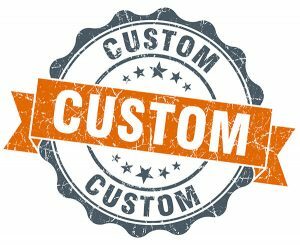 Choose a custom home builder that can help you through the process every step of the way and help alleviate some of the stress. Step 6 – Enjoy your new home! Congratulations! Starting with an idea and the turn of a shovel, you created a home of your dreams. The new home build endeavor gave you stories to tell before you even moved in. You already have a special sentimental connection to this space. Settle in, enjoy and continue to make memories in only the way you can.